As part of our Executive Roundtable Interview Series, we sat down with prominent law enforcement veteran John Cannon, Special Agent in Charge (SAC) of the GBI Major Theft Unit with the Georgia Bureau of Investigation (GBI). 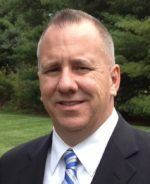 An active ISCPO board member, he provides a unique perspective when it comes to setting best practices in conducting major theft investigations. We asked him to share his take on where the industry is going in combating crime and how LP practitioners can effectively work with law enforcement to mitigate loss. SAC Cannon’s unit is responsible for cargo theft investigations in the state of Georgia. 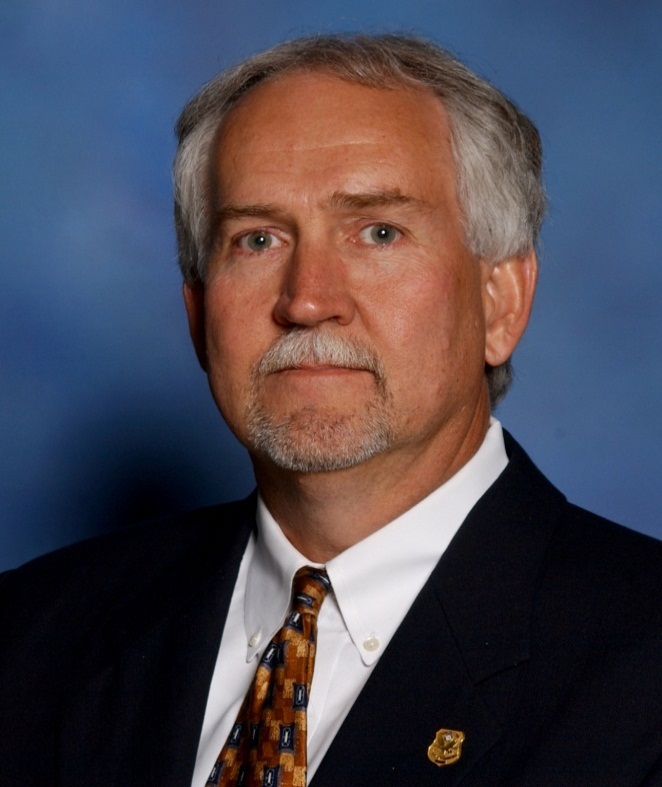 With over 40 years of Law Enforcement experience, SAC Cannon has worked in a variety of roles at the GBI including serving at the Democratic National Convention, the Olympic Games in Atlanta, the G-8 Summit at Sea Island. He was also a member of the GBI Special Response Team as well as the State of Georgia Special Weapons and Tactics Team. SAC Cannon has twice received the GBI Directors Award for investigative excellence during his career, along with the GBI Meritorious Service Award and the Medal of Valor from the International Narcotic Enforcement Officers Association. SAC Cannon graduated from Columbus State University with a Bachelor of Science degree in Criminal Justice. 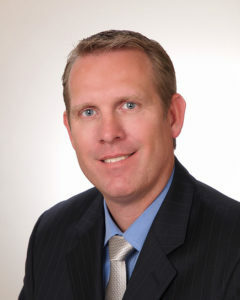 He is a graduate of the Georgia Association of Chiefs of Police Law Enforcement Command College and the Professional Management Program at Columbus State University. He is a Senior Instructor at the Georgia Public Safety Training Center, where he instructs on topics regarding drug investigations and cargo theft. ISCPO: How has the industry evolved since you started out, especially related to how technology aids in investigations? I think the use of technology has increased, especially with high value loads. When tracking devices are utilized by the transportation industry and used correctly, it provides us with a greater opportunity to recover a stolen load. Real time monitoring and timely notification improves the chance of making a full recovery. As with any organized criminals who adjust to investigative techniques, cargo thieves have responded to the use of technology utilized by the transportation industry. On the flip-side. we have seen an increase in the use of GPS jamming devices being used by the organized cargo theft groups, especially the groups from South Florida. ISCPO: Why did you participate on the ISCPO board? One of the main pieces of the strategy that we developed to combat cargo theft was to develop relationships with the private sector. I think by being on the board will help facilitate that objective. It will provide a law enforcement perspective on any discussions that occur concerning security procedures and protocol developed by the private sector. I think it is important to have someone with a Law Enforcement background on the board to provide a LE prospective. Also I think it will help the private sector understand what Law Enforcement needs when conducting an investigation. ISCPO: In your experience, how can Public Sector & Law Enforcement can work together with Private Sector better? Prior to my assignment regarding cargo theft, I spent most of my career in drug enforcement with the GBI. Initially it was difficult for me to understand the concept of sharing information with the private sector. I quickly realized the importance and benefit of working together with private sector investigators. While it may sound easy, it takes time to develop that level of trust to share information. It is also important for private sector investigators to understand that we cannot share certain information with them. It is also important for the private sector to have and provide to us in a timely manner information regarding the particulars of a theft. The first moments after the theft are critical to the recovery of the stolen cargo. If the private sector can provide us with timely information the chances of a recovery increase. In more sophisticated theft situations, the hand off between an internal LP investigation and Law Enforcement is sometimes a grey area. That’s when it’s even more critical for LP managers to communicate to Law Enforcement they’re tracking potential insider-generated crime. For example, it could take weeks for one investigation to uncover where several touch points are redirecting or stealing cargo from targeted vulnerable environments. Once scanning data or evidence is collected, a fully documented file can be handed over to Law Enforcement, be it local, state or national level. ISCPO: As a Public Sector official who’s investigated numerous supply chain crimes, what are the three most important elements a company moving goods must do to maintain a high standard of protection? I get this question asked time and again. It’s really the first question every loss protection professional should ask themselves, and continuously revisit quarterly. Focusing on a few key things will keep your eye on what’s your and your business’s priority. Here’s a checklist to start your own strategic plan to stay ahead of crime, never alone reacting to it. ISCPO: What are the biggest challenges to supply chain protection & security, from a holistic industry level? Cyber-Crime – We’re seeing cyber-crimes and the efforts to preventing those crimes continuously growing. Companies must take protecting their technology systems and data seriously and not rely on IT departments to do the job. Specially training professionals with technological knowledge should develop LP programs and devise risk management protocols that adhere to the law. Limited Background Checks – Supply chain in itself connects a multitude of products, companies, and people together to move goods from A to B. Organizations must know who’s handling their goods at all times. Companies not committed to conducting routine and organized background checks are weakening the supply chain as a whole, using the addage you’re only as strong as your weakest link. As the speed of the Industry increases so will the theft – With the increase of eCommerce and global shipments, there are significantly more goods in transit than ever before. As with any variable cost, private sector leaders need to understand that risk management budgets need to match the increased pace of business. As part of our Executive Roundtable Interview Series, we recently sat down with industry thought-leader Wes Bank to get his point of view on the challenges, trends, and developments facing the LP / AP industry. 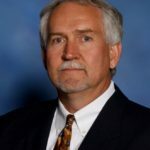 Wes also headed up ISCPO’s Carrier Security Audit Committee that developed a formal audit program to bring new security standards and risk management processes among carriers. ISCPO: Pls share a short summary of your background and experience in supply chain protection. I began my career catching shoplifters and maintaining store shrink programs for Jewel-Osco, which led to managing LP for some of their US based DCs before heading back out to the “field” to manage retail LP at the District level. After 10 years of grocery & pharmacy LP, I joined Office Depot as a Regional LP & Safety Manager for supply chain. Thinking I knew everything about Loss Prevention, I was in for a huge awakening. I had a tremendous boss named Bill Gavin who exposed his team to inventory control through WMS systems, adjustments and various cycle count methodologies. I was encouraged to participate in industry groups such as RILA and LPF. It was here that I participated on a content development committee for a new certification that we all know today as the LPQualified and LPCertified. During my tenure at Office Depot, we transitioned from in-house delivery drivers to 3rd party carriers which soon became ground zero for our battle against shrink and an important propellant into my current role. After 12 years at Office Depot, I was hired by Velocity Express (a large final-mile provider with over 60 facilities across the US) to develop a Loss Prevention program to minimize customer cargo claims. Quite a demanding task considering the added challenge of not being able to coach, train or provide any direction for the thousands of independent contractors (drivers) handling our customer’s freight. One of my most demanding customers from a security compliance perspective was DHL Global Mail who had a very stringent program to follow. There was a mutual respect for their well-contrived security requirements and our compliance efforts. It was a short crossing of the bridge when a vacancy opened at DHL for a Security Director, where I was hired as an individual contributor. Within 3 years I grew the department to 19 strong with the great support from my current boss, Nikki Koontz. During this evolution, I implemented a department name change from Security to Loss Prevention for better customer recognition and relevancy in the ECommerce world. Today, DHL’s LP department focuses on 4 core competencies: Investigation, Audit, Regulatory and Physical Security/Systems. ISCPO: How has the industry evolved since you started out? At the start of my career in 1990 tech consisted of pagers to communicate urgency, we didn’t have cell phones or any personal computing devices. Case reports and audits were handwritten. Analytics were big if defined as hand tallying data from a sea of filed manila folders. Retail shoplifting and employee theft apprehensions were of the greatest priority. We equipped ourselves with handcuffs and at times provided chase down the street without repercussions. Needless to say, we just don’t do this anymore today and pretty stupid even back then. Laws and regulations (such as Tort, Labor laws, OSHA, DOT, Homeland Security and more) have been rapidly evolving requiring Loss Prevention practitioners to stay current through education, training and policy adoption all in the name of reducing exposure to liability. Yesterday’s techniques to influence loss/risk may be doing more harm than good today. Look at some current challenges in the news today with worker misclassification, security screening/waiting time, criminal background checks in hiring decisions, and privacy/retention of personal data. The nature or source of the losses or risk in Supply Chain is usually much different than those of retail brick and mortar. Therefore, the Loss Prevention programs must be unique to this part of the business in order to stay focused and relevant. A shipper, for instance, doesn’t have its own inventory valuation but is accountable to hundreds of clients. Losing a customer due to underperformance or continuing losses might be more financially devastating to the shipper than the product loss was to the client. Therefore, the focus for the shipper’s Loss Prevention department might be more about customer satisfaction/retention with KPIs to support that focus. A retailer’s modern supply chain might apply less value to case count, terminations and arrests than government regulatory compliance, insurance premium reductions, minimizing inventory inaccuracies and out of stocks, for example. Supply chain and e-commerce are the new drivers of our industry as businesses try to gain further efficiencies in order to minimize costs and grow earnings. I like to think of store merchandising as an art while supply chain as a science. Industrial Engineers and Operators work hard to measure productivity and quality or what I describe as “today’s costs” within the supply chain. It is today’s costs that are greatly considered when setting up and creating operating plans in the DCs. Risk/loss is “tomorrow’s cost.” Therefore, Loss Prevention needs to have a seat at the planning table to help influence or prevent these future costs. While a shrinkage problem in a particular store is concerning at the local level, a significant loss or two within the supply chain can cripple earnings enough to instill panic within the organization or even influence investors. Whether you are shipping internally to replenish your shelves or shipping externally to an end user (B2B, B2C), securing the supply chain has never been more important for the success and longevity of the company. The largest ECommerce player(s) are setting the expectations or norm for end users with respect to the speed of delivery, the cost of delivery and tracking advancements. ECommerce competitors work hard to keep pace, while the revenue squeeze is put on many brick & mortar stores. This competition inspires innovation and technology advancements within everyone’s supply chain. It may also help spur new businesses that can provide services to aid your supply chain at lower costs. The shipper that can deliver in the shortest time, with the best tracking and at the lowest cost will win. This not only ensures continuous investments into supply chains but also the need to maintain a lean/efficient operation. There are many government agencies that are entwined within most supply chains in the name of safety or security. The challenge is to maintain regulatory compliance through training, audit and investigation programs which all add front loaded costs. However, failure to front load these costs appropriately in your business today will likely cost 2, 3, even 4x more in tomorrow’s costs. Technology isn’t as simple as it was 20 years ago. Today, Loss Prevention professionals must be able to control travel expense by monitoring compliance or investigating remotely at times instead of onsite visits. Cameras, alarms, card access, analytics, audits, etc… must be manageable through key strokes, not footsteps. Back in the day, only LP procured their systems and project managed the installations. Today, more and more IT departments are tasked with providing the solution for anything placed onto the network such as cameras, card readers. Don’t shun this idea. By providing the solution, IT departments are also responsible for the quality of service and managing service providers. This frees up the Loss Prevention team to establish the system requirements and write policy on usage, auditing, and reporting. This is really about working within your core competency, allowing each cross functional group to do what they do best. ISCPO: Why do you participate on the ISCPO as a Committee Member? I was always interested in leveraging our industry colleagues to develop industry standards for the Carriers and the ISCPO was the perfect conduit to get the message out. I joined in its inaugural year and, at the first conference, I surveyed the audience and determined that there was interest in developing a standardized carrier audit and sharing results among members. This concept helped launch the ISCPO Carrier Security Audit Committee. At the second conference, I presented on Final Mile Carriers, how they operate and the challenges as it relates to their clients. This set the stage for the committee’s first order of business, establishing a set of Carrier Security standards and audit. Later, the committee created a carrier certification process. Carrier Certification is very beneficial from the client’s perspective in knowing that industry security standards are applied to their extended supply chain but also a tremendous marketing value for the carrier. We expect to be sending more qualified carriers through the certification process in the next 12 months. The ISCPO is gaining momentum as colleagues really need to network directly with other Supply Chain experts, without wasting lots of time through networking via less direct channels. The ISCPO is attracting more Carrier-employed Loss Prevention professionals and that helps bridge the gap of understanding between the contracted and the contractee. Supply Chain is very different than retail so this outlet provides the networking, round-table discussions, and support needed to arm LP or Security practitioner with the right strategy. As part of our Executive Roundtable Interview Series, we recently sat down with industry thought-leader Aaron Henderson to get his point of view on the challenges, trends, and developments facing the LP / AP industry. 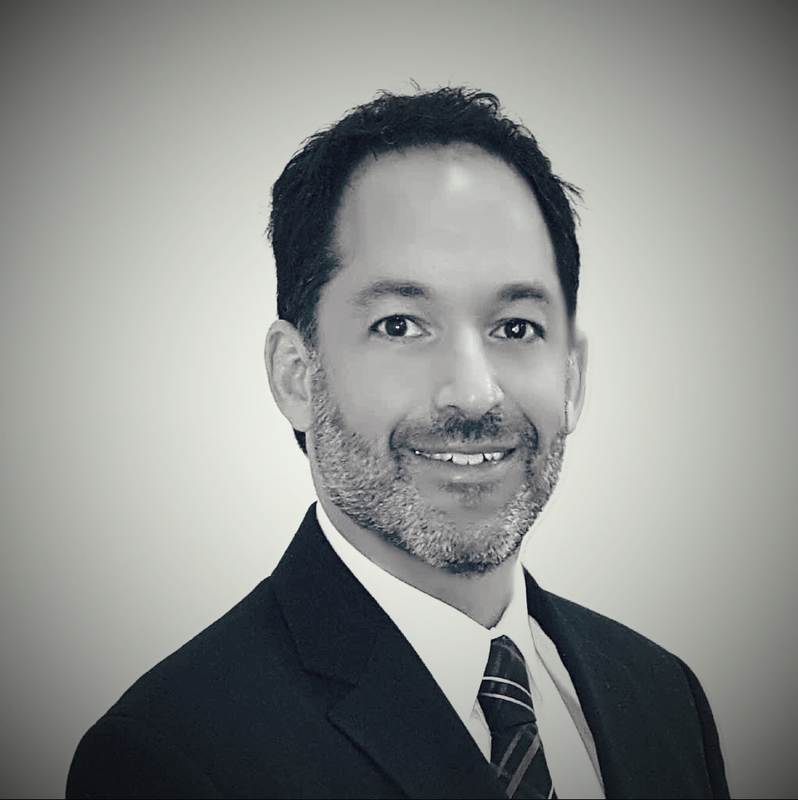 We had the privilege to have Aaron on the ISCPO Exploratory Board, where he helped to shape our organization and drive best practices across the supply chain. Aaron is presently Director Loss Prevention at Penske Logistics & Brigade Command Sergeant Major (CSM)/MP Retired. ISCPO: Please share a short summary of your background and experience in supply chain protection. I’ve been in the Retail Loss Prevention / Asset Protection sector since 1990. For a large portion of my career, I’ve been responsible for LP primarily for large national retail brands. From 19 90 to 2001, I grew my career and the LP functions at Macy’s and Saks Fifth Avenue. In 2001, I joined Circuit City and was responsible for all loss prevention within the supply chain, which included distribution, logistics, reverse logistics, service centers and e-comm. In 2009, I joined Penske Logistics and was brought in to start a loss prevention department, growing a one-person department to a group of seven. Before and throughout my corporate career, I’ve had the privilege to serve in the US Army on both the active side as well as The National Guard retiring in 2014 as a Brigade Command Sergeant Major. This experience particularly provided me with the required leadership skills to build teams and to articulate the importance of LP at the C-level. It’s also served me well while participating in industry-wide initiatives like the ISCPO. When I first started out, most people, including myself, started on the retail side of the business. Reacting to retail theft was the main part of my job but I quickly got exposed to supply chain management, taking on added responsibilities regarding safety and protection – from developing standards that secure cargo/distribution and maintaining supply chain protection, to dealing with employee safety and workplace violence. Companies now recognize the importance of maintaining security and protection processes, both internally and externally as it affects all areas of the organization. TECHNOLOGY – Everyone will tell you that tech continues to grow and evolve over time; something new today is outdated in 12 months or sooner with the next best thing. For example, monitoring has come a long way. VHS tape analog cameras evolved into digital video recorders and now CCTV cameras have the capability to record digital footage thru IP so we can look at an area via a mobile device in real-time, anywhere. Biometrics is starting to become standard process with swipe cards being replaced with thumbprint technology, which cuts down on fraud or enables a lock down in an instant. The big challenge is balancing ROI and staying up to date. I’ve found that it helps to look at technology from an organizational standpoint and how it can improve processes within other areas of the business. For example, a camera system obviously is a must-have from a security standpoint; but, it also can be used by marketing to analyze end-consumer foot traffic or by management to monitor staff productivity or safety. C-SUITE SUPPORT – Another area I’ve seen a shift is at the C-Suite level. I have seen over the years that the C-Suite now understands the value that a LP /AP team brings to the table. Security touches so many aspects of the business today that we didn’t see 10 to 15 years ago. A dedicated LP/AP team can save a company money in the long run. And, leaders are taking external factors very seriously. For example, protection of staff is a priority. There need to be programs in place for every contingency such as active shooter protocols or dealing with situations within the community, like protests, that can disrupt your supply chain. Maintaining a ‘Being Aware’ mind-set: It’s important to always think about how a company’s environment or how every business decision or process can be affected from a security or protection point-of-view. Always stay on top of the industry trends that effect your business-from technology advances to cargo theft trends. A leader must be aware of their environment and how to communicate standards effectively, especially if you have several locations. For example, Los Angeles is known for cargo theft, so it’s vital for staff to be aware by following security protocol and mitigating exposure. Or, if there’s a business disruption, such as a protest, cargo should be re-routed to keep drivers safe and to protect the cargo. Inventory Control: You must have strong inventory control programs implemented within your supply chain. Maintaining accurate inventory is key to success from the minute you receive it in the door from your supplier to the moment the end customer receives it. We play a big role in trying to shrink the window of inventory sitting on the books, which is tied to training, warehouse management systems, and the enterprise system itself. Security: Security is prevention in its simplest form. It’s your job to evaluate, implement, and monitor the best security plans and systems across the entire business and the industry you work in. Ultimately, by establishing the proper security across all departments of a business you’re protecting your brand, protecting your product and most importantly protecting your people. ISCPO: What is THE biggest challenge to supply chain protection & security, from a holistic industry level? Speed. Everyone is trying to beat the competition with getting product to the store/customer in the fastest, most cost-effective way possible. Customers today order online and want the product that day. The speed of LP needs to be faster, not merely keeping up with the speed of the business. We need to anticipate and be one step ahead of the next link in the supply chain. Any weak links slow down the chain and increase risk which could impact shrink. ISCPO: Why did you participate on the ISCPO exploratory board and what do you get out of being an ISCPO member? I joined the board because I see the value the ISCPO brings to the industry. Within my own [retail] industry we have several organizations, but most focus on the retail environment. I would attend conferences that had little to do with supply chain management. In my industry, the first step in preventing shrinkage and improving the customer experience is to make sure that the product makes it from the DC / Vendor to the store or customer, so you have to get it right, every time. Within the industry, we have several challenges on the supply chain side of the business. 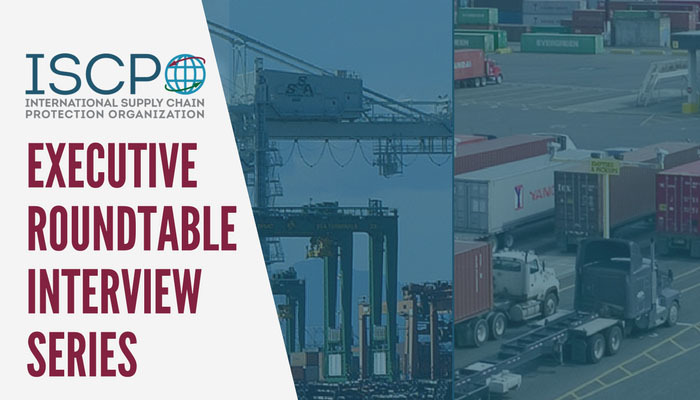 We need groups like the ISCPO to facilitate networking where Supply Chain LP practitioners can get educated on best practices as well as share knowledge and problem-solve. It pays to participate in these kinds of organizations. During my time at Circuit City, I reached out to my LP counterpart at my #1 competitor. We both were dealing with the same industry trends and organizational issues. By sharing knowledge, we were essentially creating our own industry best practices. That’s where the ISCPO comes in. As an ISCPO member, I’ve met colleagues to discuss potential solutions, vendor options, and to get the latest trends. Lately, I’ve used my ISCPO connections to expand my knowledge on international issues, given my global mandate at Penske Logistics. With any professional organization, it’s the opportunity to network that’s priceless. It’s education too. When I went to ISCPO’s 2016 conference I met a lot of people and vendors that sparked new ideas plus hearing about cases on a federal level that affect my business. Having this knowledge and bringing it home to my team, and my C-level executives enable me and my organization to stay current.